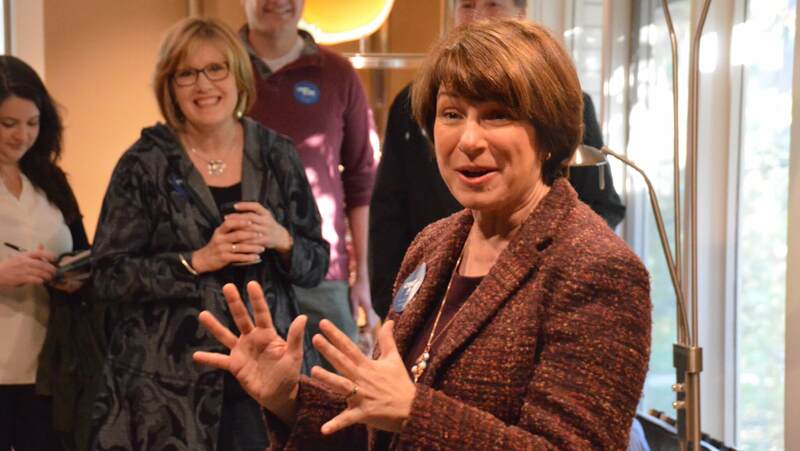 Minnesota Senator Amy Klobuchar made a swing through Iowa this weekend to help boost some of her fellow Midwestern Democrats in important races. She noted at a canvass kick-off event with Cindy Axne that the party needed to refocus their attention to the region. She ticked off a number of U.S. Senate races, like Joe Donnelly in Indiana, Claire McCaskill in Missouri and Tammy Baldwin in Wisconsin, that she felt optimistic about. All of those states moved significantly in Republicans’ favor during Donald Trump’s 2016 election, but there’s signs across the Midwest that Democrats are rebounding in 2018. 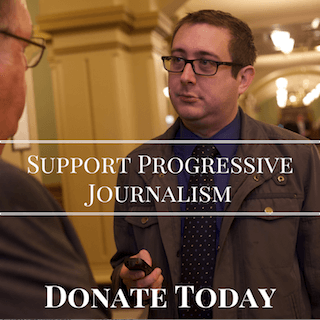 A trio of Democratic candidates for governor – Fred Hubbell in Iowa, Tony Evers in Wisconsin, Tim Walz in Minnesota – may all win their competitive races. 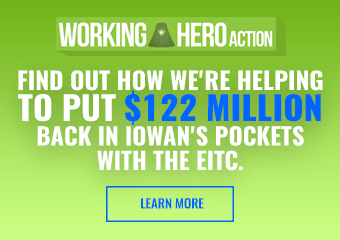 At events in Des Moines and Ankeny, Klobuchar pointed to Democrats running with a stronger emphasis on basic economic policies. She mentioned how her sister got a manufacturing job in Iowa, which gave her enough time to get her GED, go to community college and then get a four-year degree in accounting. Messaging on educational and job opportunities like the ones her sister experienced should motivate voters, Klobuchar explained. Klobuchar also talked up female empowerment at the ballot box. She held stops to help out Axne, Amber Gustafson, Heather Matson, Abby Finkenauer, Deidre DeJear and J.D. Scholten on Saturday. Linking things like the Women’s March to this year’s record crop of female candidates, Klobuchar promised “this is our year” to elect more women. “This is the arc we’re on that ends right here with Cindy’s race,” she said. She also mentioned her role on the Senate Judiciary Committee, which has given her a larger national profile on issues from the Supreme Court hearings to the Russia investigation. “If anyone ever says that [Russia] meddled, never use that word. That is what I do when I call my daughter on a Saturday night to ask what she’s doing. It is a cyber attack,” Klobuchar said. This was the senator’s third trip to Iowa since 2016, but her first this year. Many continue to watch Klobuchar’s moves closely as they suspect she may be considering a presidential run in 2020. Her husband was with her on this trip to Iowa; a number of national Democrats seriously considering runs have brought their families along with them on Iowa trips. And while this visit was all about assisting Democrats running in 2018, it doesn’t take much reading between the lines to see what themes her 2020 candidacy could be based on: female empowerment, a candidate with Midwest electability, strong economic focus. 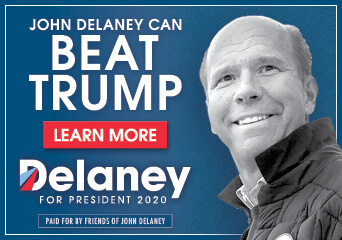 It that’s a winning combination for several Democrats in key races in Iowa in 2018, there’s nothing to say it wouldn’t be just as good for 2020.